We are glad, but antsy to know if the tumor is even active anymore. We have decided we have to go to Houston for a pet scan. Our local oncologist has suggested we go somewhere else since Vegas pet scan are a bit outdated and quite expensive, $3,500 here in Vegas and in Houston only $1,400 and newer equipment. A pet scan will allow us to find what parts of the tumor have died if any and what parts are active; something that a MRI cannot show. After explaining to Kassidy that her tumor was stable this time she asked if we could find out, and to tell you the truth, we as well are curious. This tumor could be dying and we just don't know. Her body might not absorb the dead tumor and just leave like scarring that can show on a MRI as tumor like. We also would like to meet with Dr. Burzynski and hear his plan for Kassidy and ask his opinion, we respect it and he knows what is best. So we will keep you posted on when we decide to leave and go meet with him. I am just glad our little girl has been feeling really well lately!!!!!!! Well, today was the dreaded MRI day!!! Yes, this day has always been so hard on all of us, but always extra hard on Kassidy. This morning she got her morning dose just like always, but after 11:30am she could not have a dose of antineoplaston till after the MRI. I tried to prepare myself mentally the day before to watch Kassidy suffer thru the rest of the morning and while in the tube of the MRI machine. Last MRI was such a nightmare and the worst she's ever felt. But to an amazing surprise she felt great all day!!! :) :) :) Can you believe it?? Kass was even suprised. This has not happened since she started treatment last July! When we got to Steinberg, we couldn't help to be silly. We joked about everything. She tried to hide from me in the main waiting room, we changed the channel of the master tv in the MRI waiting room when the nurse stepped out for a minute (HA!) , and we even joked about the questionnaire we have to fill out everytime we go in. My heart literally was jumping for joy. I was so excited to see the change that I could almost not contend my happiness. I thank God for the amazing gift today!!! We are not sure what is different or why the change, but deep in our minds we hope it's a great sign for things to come. We are hoping that the news are stable or reduction. 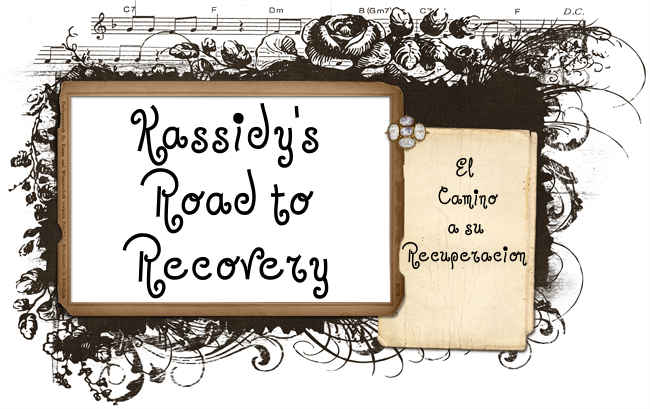 We have noticed quite a change in Kassidy in the last 2 weeks and half; for the better. Yeah, yeah, yeah!!! She thoroughly enjoyed her Spring Break. 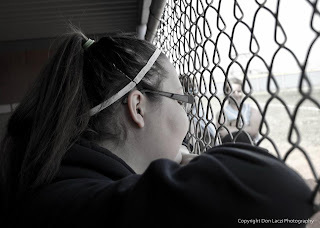 She got to help out at the Spring Jamboree Softball Tournament her team hosted at Majestic Park, sit and watch ALL the games her team played in the tournament, and even had a great Easter. Kassidy's Bunny Lala inspecting her Easter basket that the Easter Bunny left her. 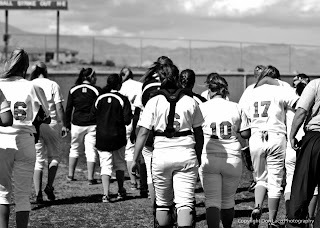 Our baby girl leading the pack of Centennial Softball girls! This week also I'm happy to report that she is only on 1/2 mg of decadron morning and night and by God's grace she will be weaned and completely off by next Monday!!! This is big for Kass! 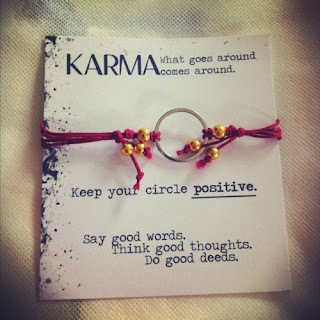 The only disappointment we've had since I last blogged, was last Friday when someone broke into Kass's car and stole so many of her belongings. She was devastated and felt so violated, but again we know that it its just "stuff" and "stuff" can be replaced. That day we were all so angry, but by the next day it just seemed like such a small thing to worry about when there is far more important things to worry about in this world. 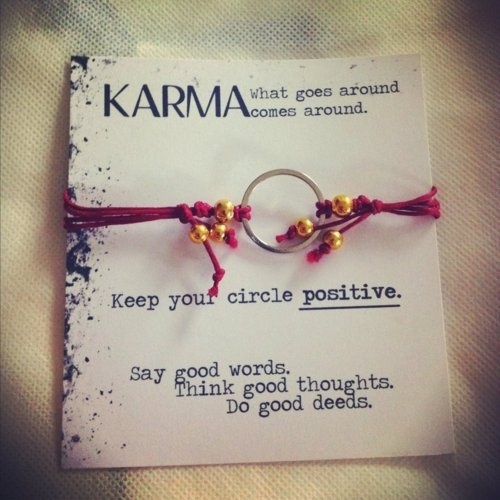 Plus, we truly believe in karma and that person will get it's own. It's 3:00am on Monday morning and I'm wide awake. Earlier this evening I was so tired that I guess I set Kassidy's pump wrong. Thank goodness she was awake when both bag 1 & bag 2 of her medication were going at the same time so she came to wake me up. Crap! She shut her pump off and we got it going again. Whewww! I noticed that it's been awhile since I've updated the blog. March has been challenging one and when I actually write down what is going on in Kassidy's world it just makes it that more real. It's been full of ups and downs, but we all are still trucking along. 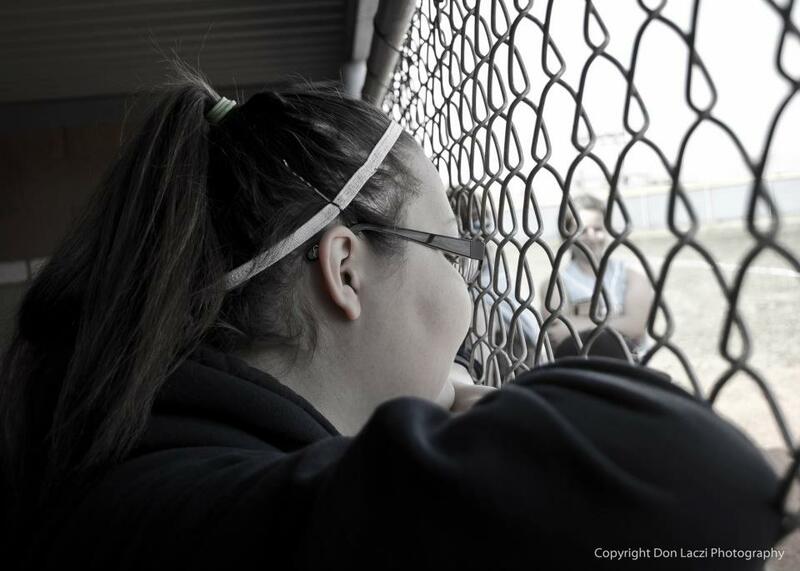 The week of the broviach line scare (btw had a scan and the line is fine) was the same week high school softball officially started. Centennial played Foothill high school as a scrimmage game at their home field. This amazing group of young ladies and parents gave Kassidy an amazing surprise. All of the JV team were wearing Kassidy's Army shirts with "11 Strong" on the back and at the Varsity game, the parents were wearing theirs. What a great homage to our girl! 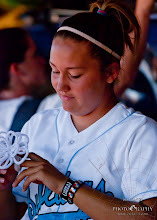 Their team has dedicated their season to Kassidy and will be painting their dugout with Kassidisms. This melted my heart! Thank you Foothill girls!!!!! 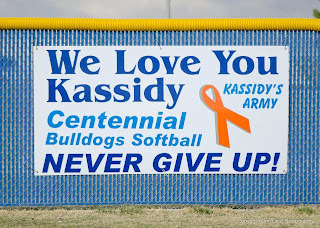 Our own Centennial Softball also surprised Kass that week by hanging a sign in the outfield showing support for Kassidy’s battle. 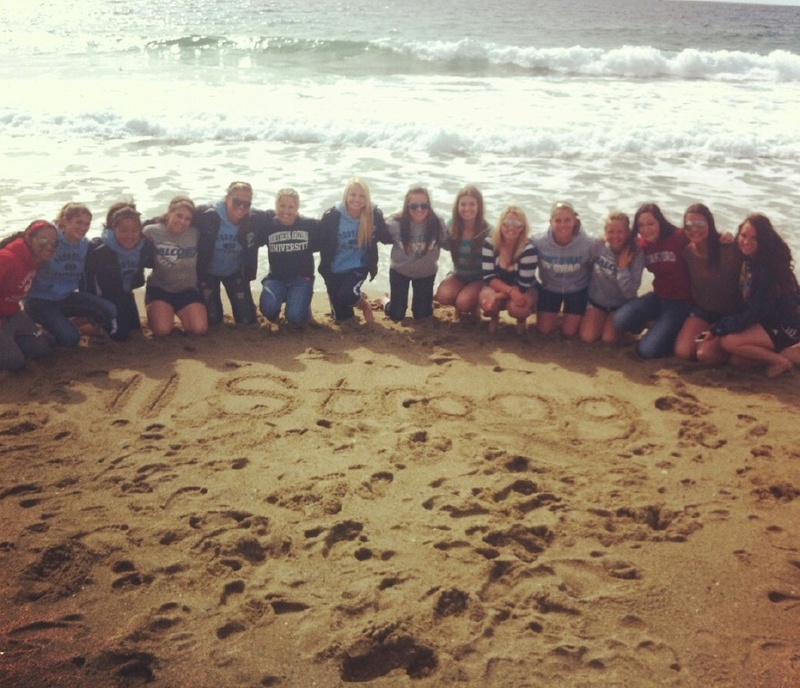 Such great group of coaches and girls letting Kass know that she is not alone. 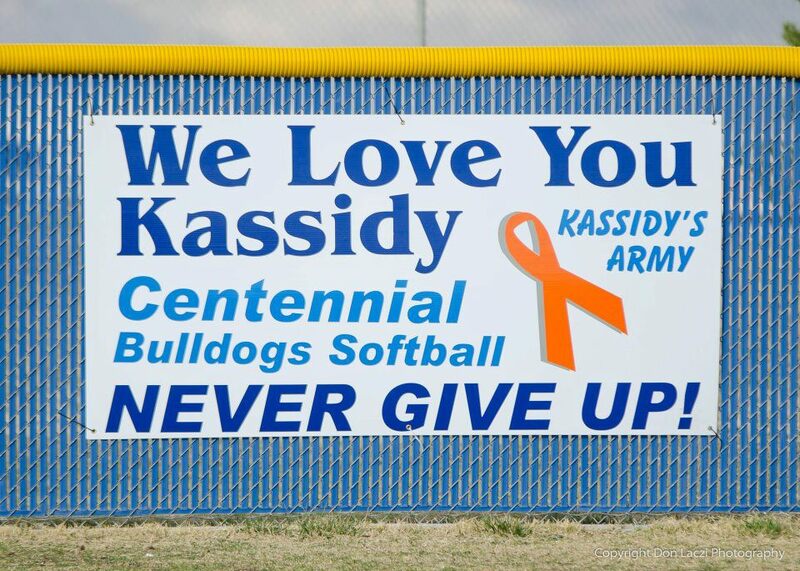 Thank you also Centennial softball for all you do for Kass! This meant a lot to her, especially that week. She had a bit of frustrating couple of weeks and the reality of this journey thus far had gotten to her. Watching her most favorite game in the world. That Wednesday Kass had her bowling banquet to attend. At the banquet she received her white letter for lettering in 3 consecutive sports in a row and also received the “citizenship award.” Take that cancer!!! We were so proud of her. We are not sure sometimes how she does it! I know there were times during the season that she was not feeling well and still muddled through her bowling matches. Ryan and I were so glad she could actually be an active member of the bowling team again this year and help her team get 4th in the Region. On Friday, Kyle came home from college. We were all so excited to see him home for spring break. We had already bought his ticket home since we were suppose to go on Kassidy’s Make a Wish trip this last weekend, but had to be rescheduled. The weather in Australia is already getting cold and their winter is commencing. Make a Wish wants to make sure that Kassidy has the trip of a lifetime, so we will be going the week of Thanksgiving which is end of spring and beginning of summer. Sunday, Kyle and Kassidy entered a junior/adult bowling tournament at Santa Fe Casino. They competed against some pretty good bowlers, but they had a blast just competing together. It was great to watch! Little did we know what the next week had in store. That same weekend we had to have Kassidy’s bowling ball drilled for a bigger hole. Her hands seem a bit swollen, but we did not think much of it. We just thought she had been bowling too much. At the beginning of the following week, Kass started complaining that her joints hurt quite a bit, but after the Shadow game on Tuesday night she came home and couldn’t even walk and right after dinner proceeded to throw up all of her dinner. L We layed her down in her bed and noticed that her feet, ankles, knees and even hands were extremely swollen. We frieked out! We called the clinic emergency line and the doctor had us elevate her legs and told us if she continued to vomit that she would have to come off treatment and we would have to take her into the hospital. That night we checked on her and iced her limbs. Also, she only threw up that really long episode. which allowed us to keep her on treatment. Next two days she stayed home from school and she pretty much slept all day long. Her swelling went down, but she battled the 24 hour flu symptoms, at first we thought we would need to up her decadron thinking it was more swelling but glad we didn’t have to. We also took her to the chiropractor that helped her feel much better and by Friday evening she was on the mend. This Saturday, Ryan and I and a couple friends helped volunteer for the Leadman Triathlon sponsored by Lifetime Fitness. 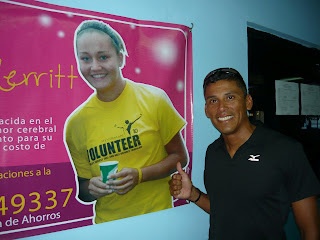 They gave us the opportunity to volunteer and at the same time they donated to Kassidy’s cause. Thank you Lifetime!!! Also, that morning I took Kyle back to the airport so he could fly back to Boise and finish up his first year of college. Crazy, Time flies!!!! He too is on the mend with his stress fracture. He is finally able to go on runs for 40 minutes or less and is doing some physical therapy. His coach has red shirted him for this year indoor track, outdoor track and next year’s cross country. This will allow him to run for four more years and give him time to heal. All of us already miss him, but he should be home soon for summer vacation. Sunday, Kass has felt great. She went to breakfast & dinner with friends, dyed Easter eggs and hung out. Thank you God! We are so glad and hope and pray that she gets to enjoy her Easter and spring break. 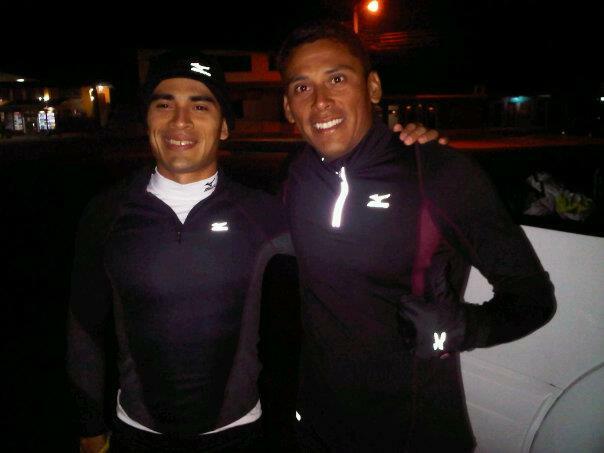 We wanted to thank two young men who took on an admirable quest, Ramses Cano & Javier Gonzalez, two ultra marathoners from Panama City, Panama. These young men ran in honor of Kassidy and a boy named Gabe who is also battling cancer (leukemia). 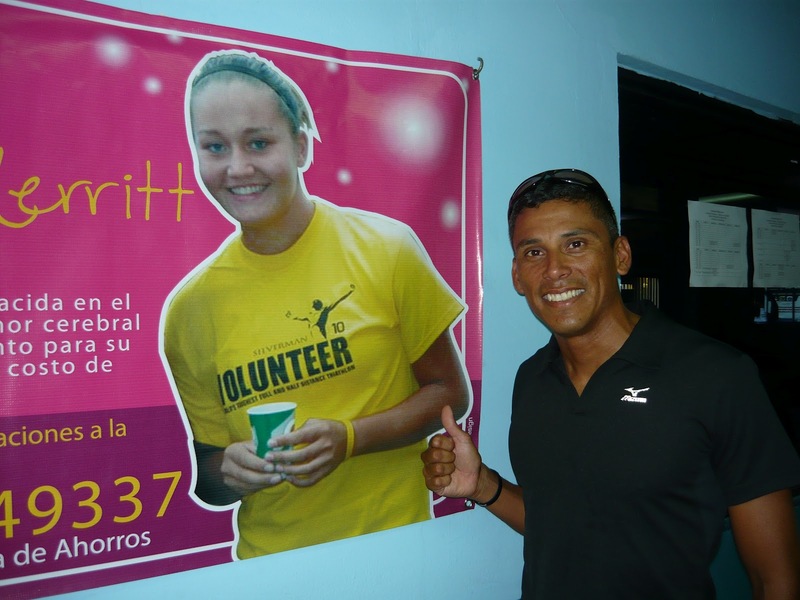 They started their run in a little town called Volcan then ran up to the highest peak in Panama called the Baru Volcano (11, 398ft) down to Boquete and then finished in a town called David a total of 118 km or 73 miles. 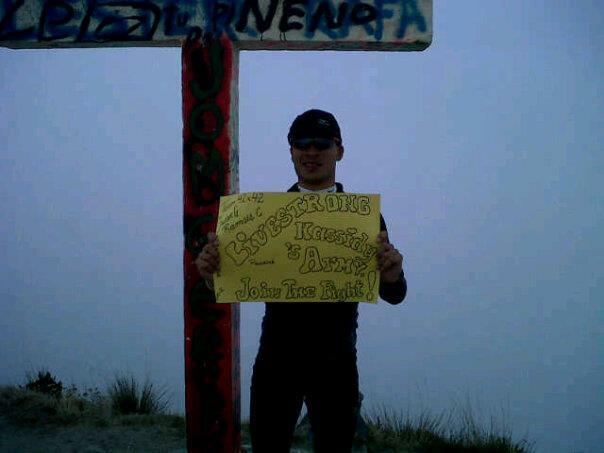 At the highest point in the volcano they knelt down in prayer for both of the kids. Pretty amazing right! 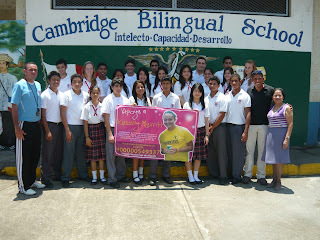 Javier posing with some my aunt's students at her school. We want them to know that we will be forever grateful for what they did for Kassidy. 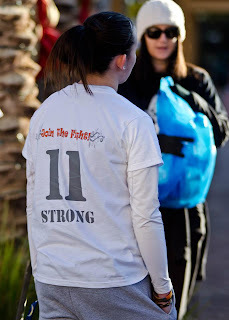 You see we've never met them, but they were inspired by Kassidy's story. 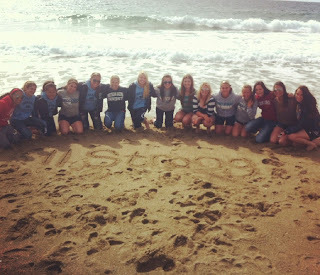 We are thankful that they took this amazing challenge and took Kassidy's name in prayer a little bit closer to God. Ramses holding Kassidy's poster at the highest peak of the Volcano. 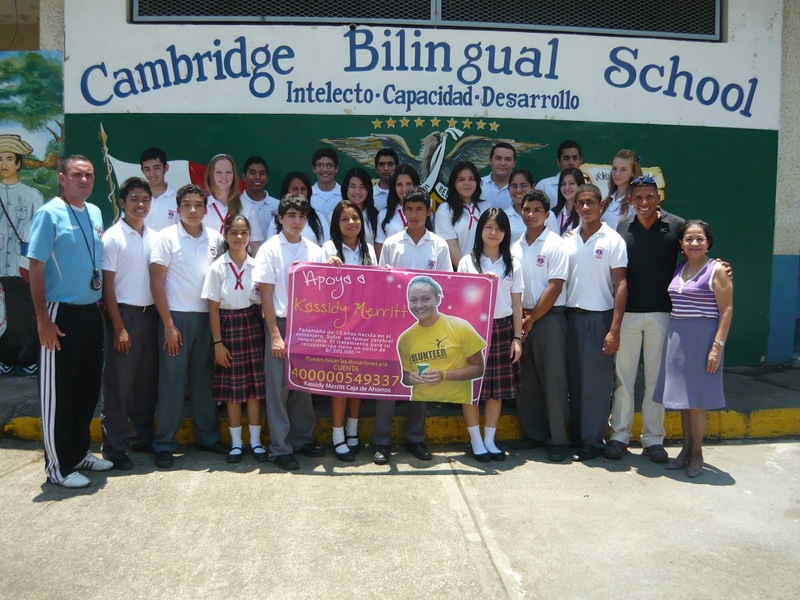 Ramses & Javier, Well Done!